Ultrasound Policy: We provide Limited O.B. Ultrasounds to clients who are at least 6 weeks LMP (last menstrual period) up to 12 weeks LMP. Limited ultrasounds are conducted to confirm intrauterine pregnancy, determine gestational age, and detect fetal heartbeat. 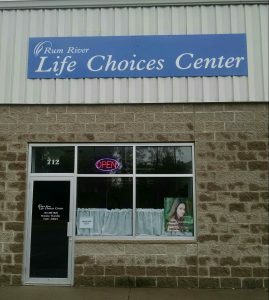 Clients are required to have taken a pregnancy test at the Life Choices Center, and have an assessment by the medical staff before an ultrasound can be performed. Ultrasounds are performed at the Milaca location only. Ultrasounds cannot be scheduled on line. Please call 320-983-3771 to schedule your ultrasound appointment. All information shared by you during your relationship as a client with the center and its representatives will be kept in the strictest confidence except as required by law or as required for the protection of yourself or others. Our services are not intended to be a substitute for licensed professional counseling, or for either routine or emergency medical or prenatal care. Individuals who believe they are experiencing a medical emergency should call 9-1-1 and seek care from the nearest emergency room. 712 S. Rum River Dr.